Whether you want your journey to be a sleek and stylish leisurely ride around town or if you just need to get somewhere on time, ClockTower cars has you covered. 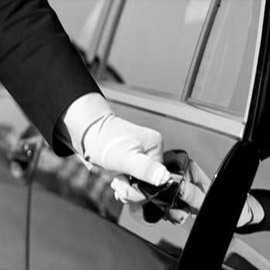 We offer top class vehicles driven by chauffeurs that are trained in all aspects of customer care. As a company, we want you to feel happy, relaxed and safe during your time with us which is why we’re happy to pull out all the stops when it comes to our clients. Carshalton is situated in the London borough of Sutton in the valley of the River Wandle and only roughly 10 miles from Charing Cross station making it in an ideal location for visitors to the city and its surrounding areas. Carshalton itself has a number of notable landmarks including Strawberry Lodge, Honeywood Museum and the stunning Lavender Fields, all of which are popular tourist spots. You’re in safe hands with a ClockTower car. All of our vehicles are less than six years old and comply fully with vehicle authority standards. In each of our cars, you’ll find a first aid kid and a fire extinguisher, and we work exclusively with drivers who are trained in how to use them, hold a full valid license, have undertaken a Disability Awareness course and have been DBS checked prior to joining our team. 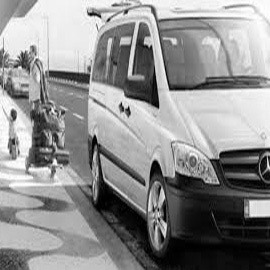 We can, therefore, guarantee that by booking a car hire service with us, you’ll be in safe hands from door to door. There are a number of services that we offer, all at an affordable price and all of which are available 24/7. We pride ourselves on establishing personable relationships with everyone who uses us, whether you’re a regular customer or just visiting the area. We never fail to provide you with the care that we advertise through our services and are happy to mould our services to your needs. Within our large fleet, we have vehicles suitable for all occasions, some of which fit up to 8 passengers at a time making them perfect for wedding or event hire. Those that use us commend us on our service, and this is something that we believe makes us stand out from other private hire companies in the area. As well as that, we offer a list of set rates for both long and short journeys that we know to be competitive alongside others. Plus, you have the option of booking with us in a number of different ways, whether it’s by filling out our online booking form, giving a member of our team a call or downloading our free app available for both iOS and Android devices. All of these options are available 24/7. Booking a reliable car hire service has never been easier! 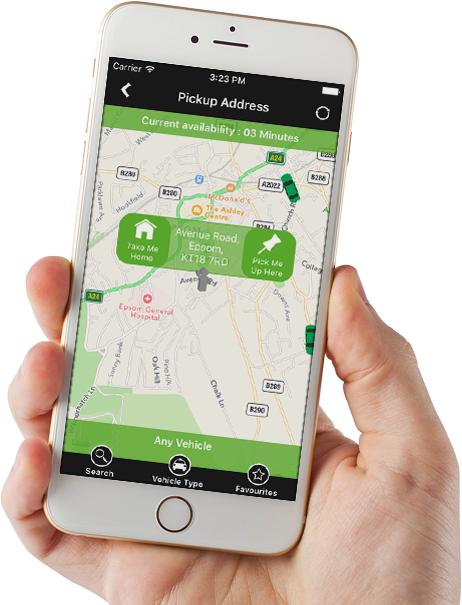 Book 24/7 via our app, by clicking here to book online or give us a call on 0208 643 2255. I arranged for a meet and greet airport service with ClockTower cars and it made me feel like a celebrity! I’ll definitely be doing the same after my next flight. While visiting the area I used ClockTower cars to get me around Carshalton and I’m so glad I chose them. The driver was great, really friendly and happy to answer my questions about the area. My flight back into the UK was delayed but ClockTower gave me 30 minutes without charging me for being late. Never would have expected this from a minicab company, very impressed. Fantastic, I was totally blown away with the service I received from ClockTower.